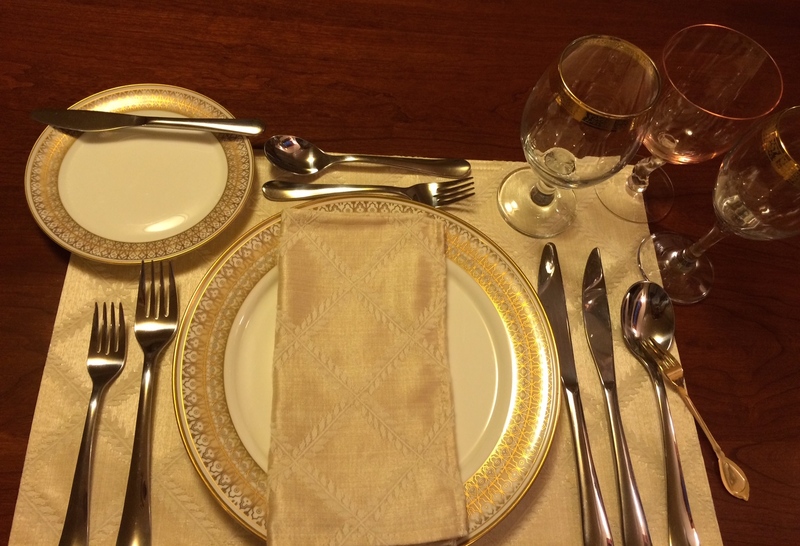 Table setting etiquette is a system, evolved over time, that ensures an orderly meal. It contains informative place settings that serve as maps, giving you a glimpse of the foods you are about to enjoy. 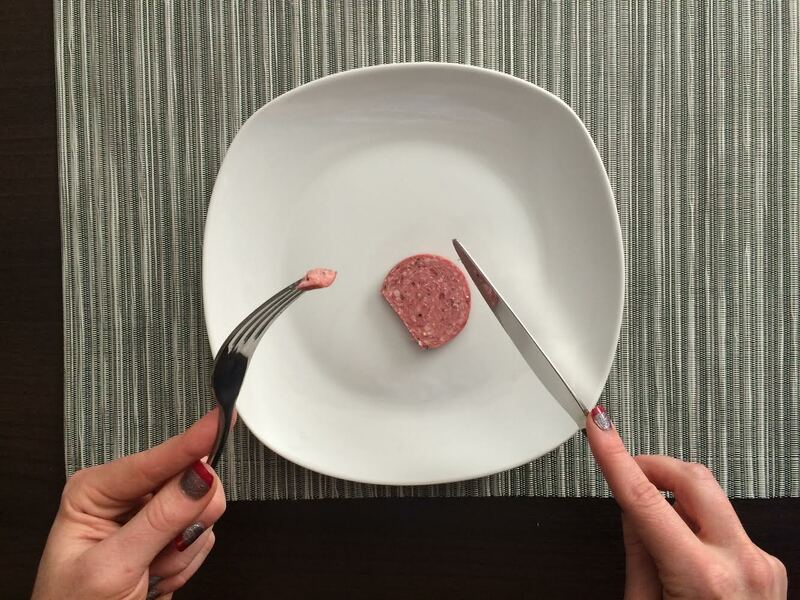 You know what you're being served, and are prepared to eat it with the proper utensils. A well-set table feels so orderly and comforting, you may not give much thought to it. Unless it's not there. Disorder doesn't have the same appeal as order. What if you approached a table set like this? 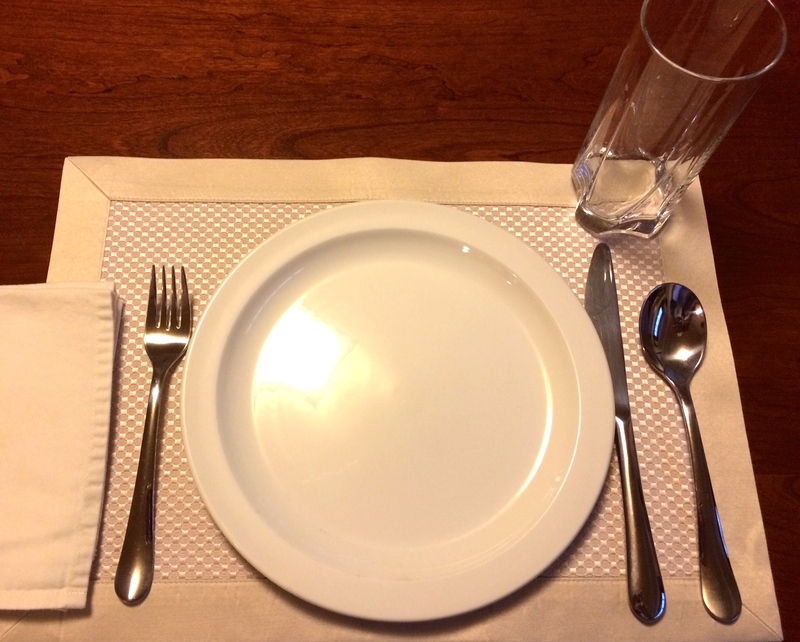 When you read your place setting from left to right, you see BMW - Bread, Meal, Water. The acronym FOrKS helps you remember that: The Fork is on the left, O is for the plate in the center, then comes the Knife, and Spoon on the right. The fingers on your left hand form a 'b' and the fingers on your right hand form a 'd' to remind you that the bread is on your left, and your drink is on your right. Utensils are placed in order of use from the outside in. 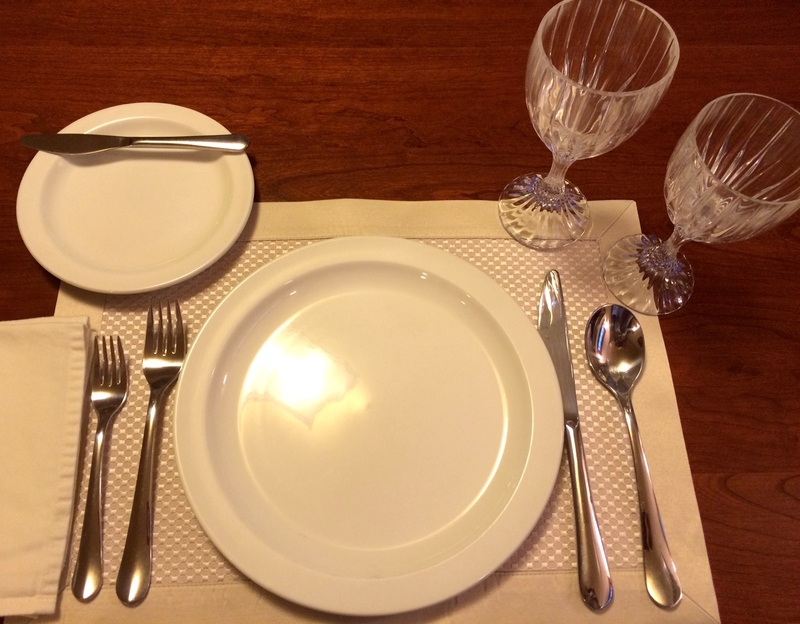 Knives (except for the butter knife) are always placed to the right of the plate. Forks (except for the oyster fork, which is placed to the right of the spoons) are always on the left. The dessert utensils are placed above the main plate, the spoon on the top, with its handle facing the right. 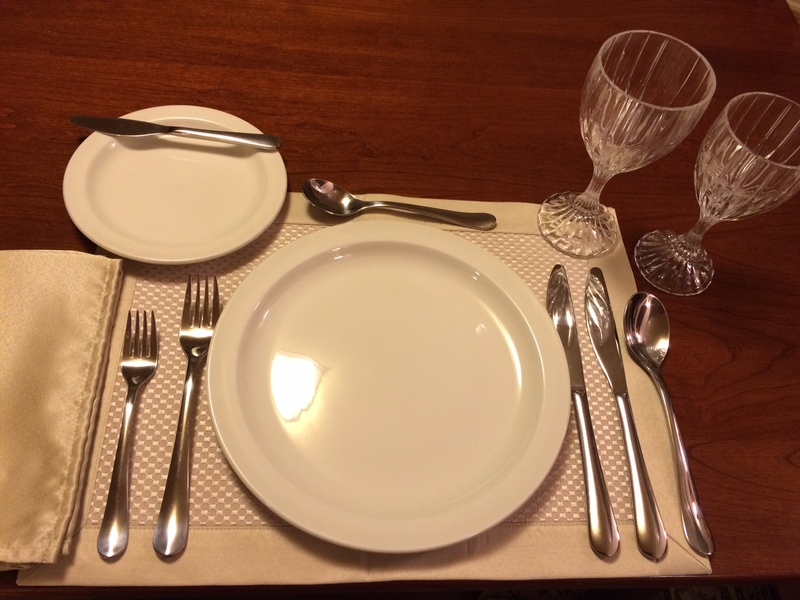 The fork is placed under the spoon, with its handle facing the left of the place setting. Knife blades always face you and your plate. It may be considered offensive to point the blade at another diner. The bread plate is on the left side of your main plate, and glasses are on the right side. The water glass always goes above the knives. Wine and other glasses are placed in order of use, from the farthest right toward the inside of the place setting. Bread is not considered a course but, if served, use a bread plate and butter knife. A beverage is not considered a course, but certain wines may be served to match certain courses. Napkins are placed to the left of the forks or on the service plate. 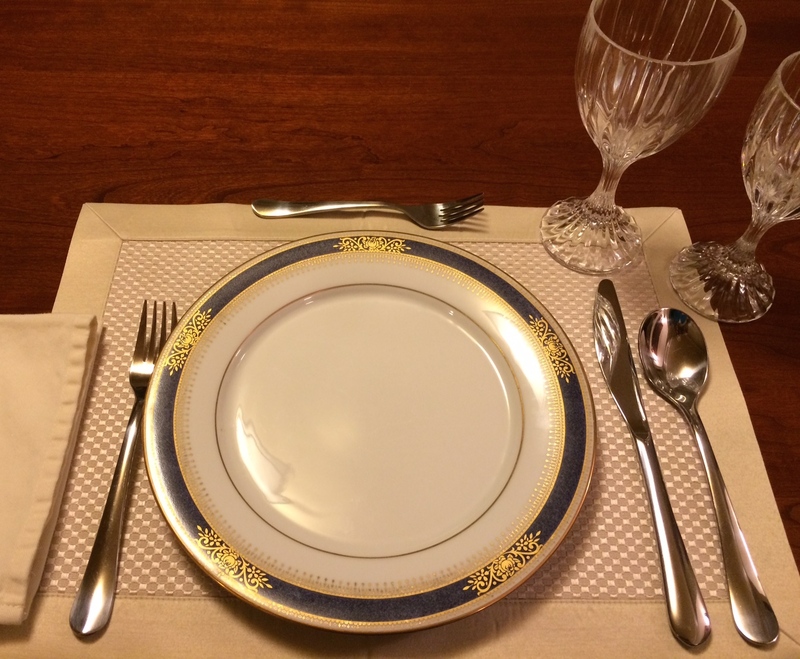 Avoid cluttering the place setting. Only place utensils to be used. For example, if you are serving ice cream for dessert, only the dessert spoon is necessary. You do not need to place a dessert fork as well. If you decorate using a centerpiece, make sure it is no higher than about seven inches so diners can still make eye contact with each other. If a finger bowl is served to cleanse fingers at the end of a course (like a shrimp cocktail), the finger bowl is counted as an additional course. As you can see in the above pictures, appropriate table settings range from casual to formal. It makes no difference if your dinnerware and utensils are expensive or inexpensive. It only matters that you use them. 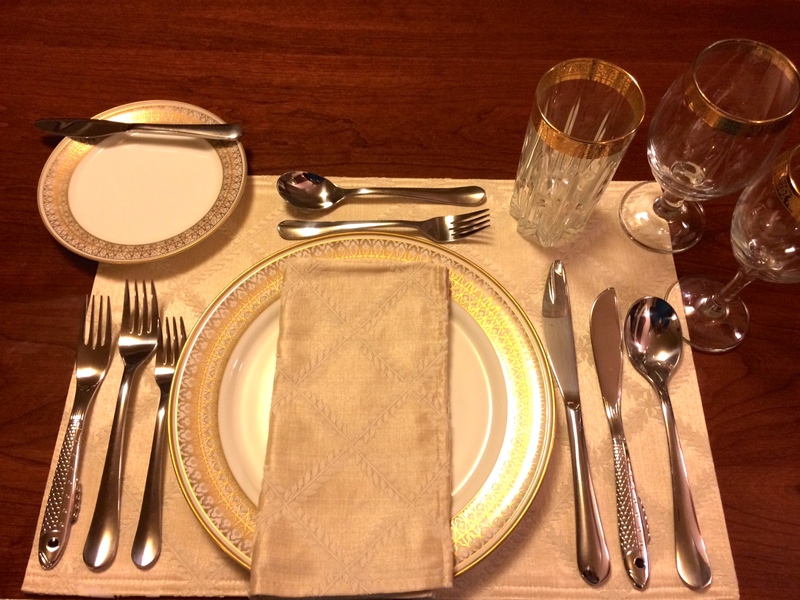 Practice your table setting etiquette at your next meal. 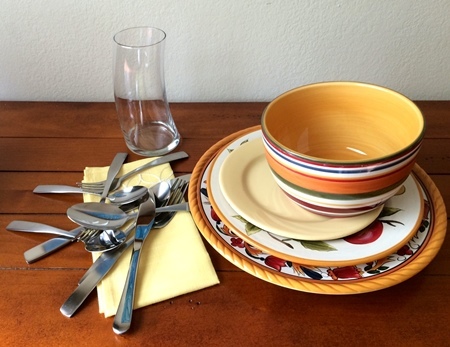 You'll find that having a system in place makes setting your table less of a chore, and keeps meal time more orderly. 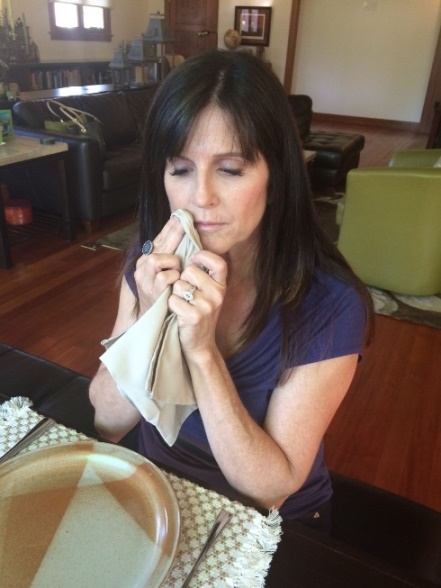 And if you have children, this practice encourages learning appropriate table manners. 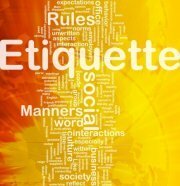 Do you have questions about table setting etiquette? Ask me here or contact me directly. 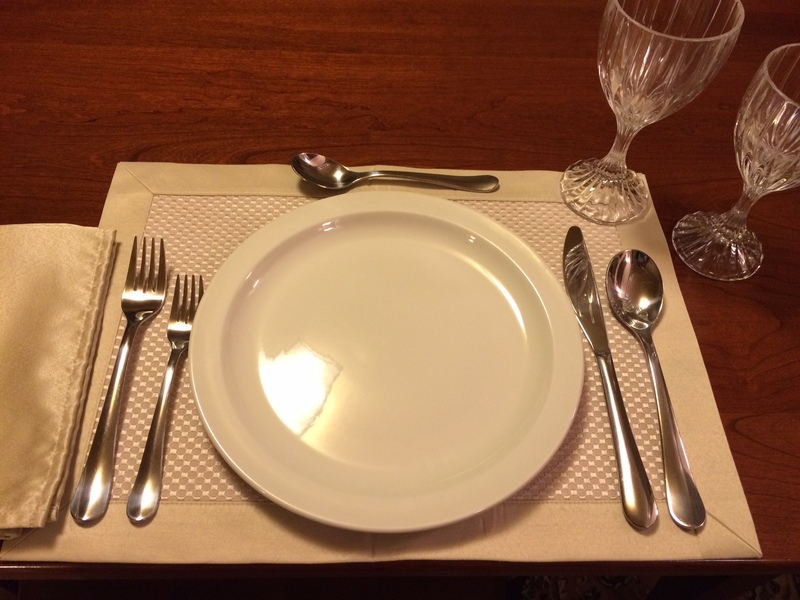 Would you like to practice various place settings in a fun learning session? Find out more here.